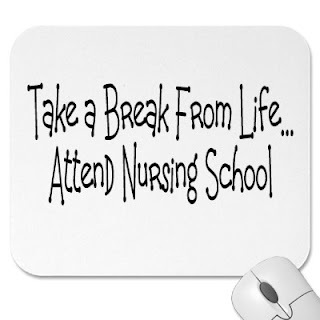 I hope who ever thought of the statement, "Take a break from life... attend nursing school", isn't serious because if he/she is then he/she has a serious problem. 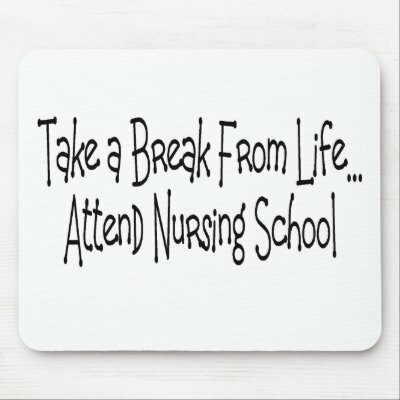 Nursing school is not taking a break from life because nursing becomes your life: studying, classes, more studying, and if you need to work like me then you're totally screwed. I am so tired! I don't want to go to school anymore, I don't want to work anymore, all I want to do is stay at home and sleep. Unlike most students, I actually prioritize my sleeping over studying so I'm less stressed than they are. It's just ironic that I actually skip school just so I could study. I'm just glad that at least one of my courses are going to be over next week so I'm very excited. Word of advice: If you don't like the teaching skills of your teacher during the first few days, drop it or look for another teacher. Well I prefer, self-study over listening to someone who dwells on things that he will never quiz you on later anyway. On a scale of 1 to 10, with 1 as the lowest and 10 as the highest, my stress level is at 8. I'm about to cave in. If it wasn't for the few hours I have before I go to work or the free time I have before I go to sleep I would be insane right now. I just hate it when my mom makes me do things during my "free time" because honestly I go to school the entire morning and I go to work the entire night so NO I don't want to do anything else and I just want my ME time. I don't want to tell this to her but I want to say that I want my rest and relaxation time because you were the one who placed me in this predicament anyway. I NEVER wanted an effing expensive car because I don't want to work while I'm at school but I did buy it because you said that you'll pay for HALF of it which you're NOT. Plus you've been buying stuff off my credit card and you've never paid me back. I don't really care if you don't pay me back but just stop buying useless things like a Bose home theatre system. Like seriously? I don't even want to eat out since I'm broke and you could afford to buy useless things? She also bought a barbecue grill yesterday which I'm so sure we will NEVER use. I'd love to ask for more day off's at work but I can't since I have to pay my credit card debt, debt that I didn't incur but my mom did. I tried asking money from her to pay for a course at school but she uses it instead to buy a freaking Bose speakers? Seriously? 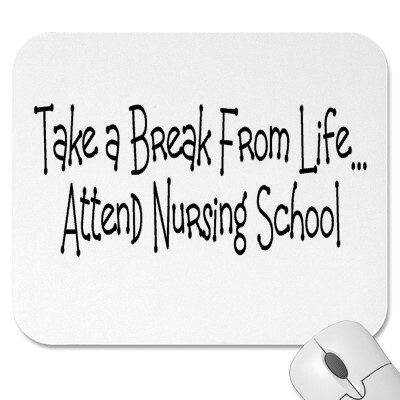 So yes, I need a break from living. I don't want to travel anywhere cause that will lead me to more debt. I just want to stay at home and chill.